One of the hot new acts making a name for himself on the UK comedy circuit. His story based comedy has been proving a big hit with audiences across the country. Doing well in a few competitions and establishing himself as a solid act and MC relatively quickly, Geraint Evans is not wasting time. 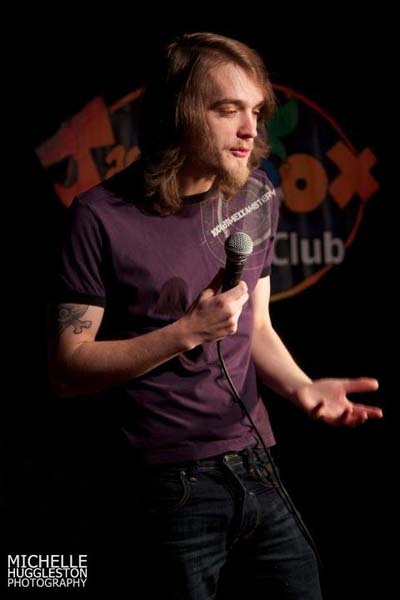 Weaving great tales around some cracking punchlines, mixing hopeless self-defeatism and mis-placed righteous anger, this 25 year old tells them all effortlessly in an endearing and relatable way. 'Escape from the Land of the Sheep,' Edinburgh Comedy Festival 2011, The Three Sisters.